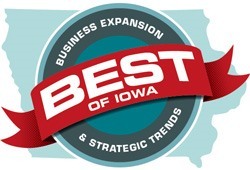 Business Expansion and Strategic Trends (BEST of Iowa) is a statewide business retention and expansion program. The program is an existing business collaborative effort between the local developer, MidAmerican Energy, Alliant Energy, Black Hills Energy, Iowa Area Development Group and the Iowa Economic Development Authority. BEST is a national model for using existing business data collected through Synchronist PRIME® interviews with local employers. Local developers conduct interviews using the Synchronist PRIME® software system with local industry and major employers. Data collected can help the user to identify such things as growth opportunities or potential issues that could lead to business downsizing or closure among other things. Data from these surveys is then aggregated to be analyzed by local and regional users to determine statewide trends. This statewide data is then benchmarked with national data collected from users in more than 30 other states.